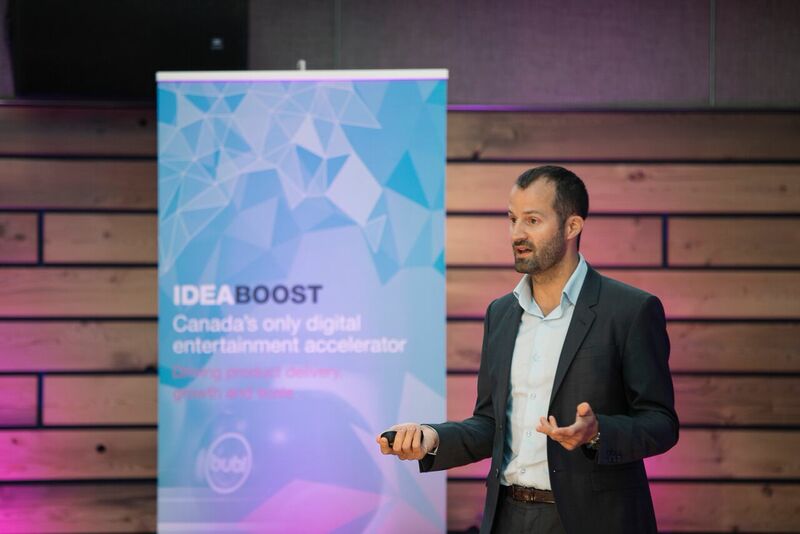 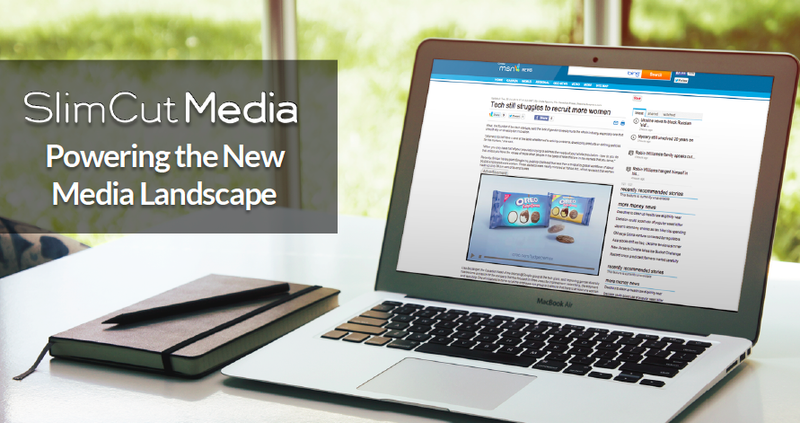 Toronto-based SlimCut Media creates new premium advertising opportunities for online publishers. 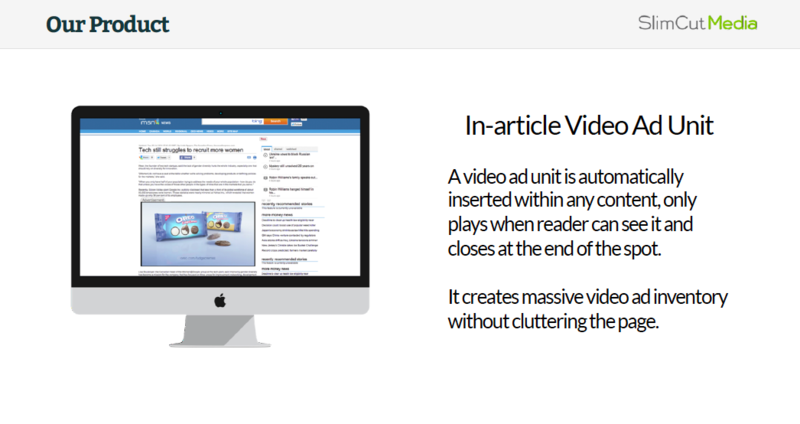 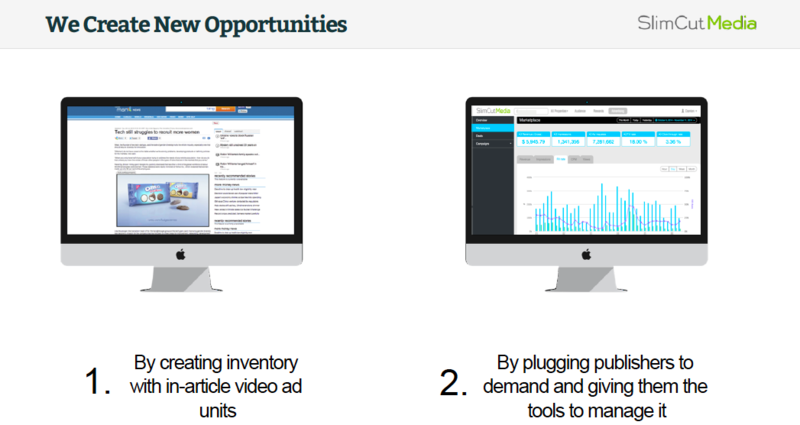 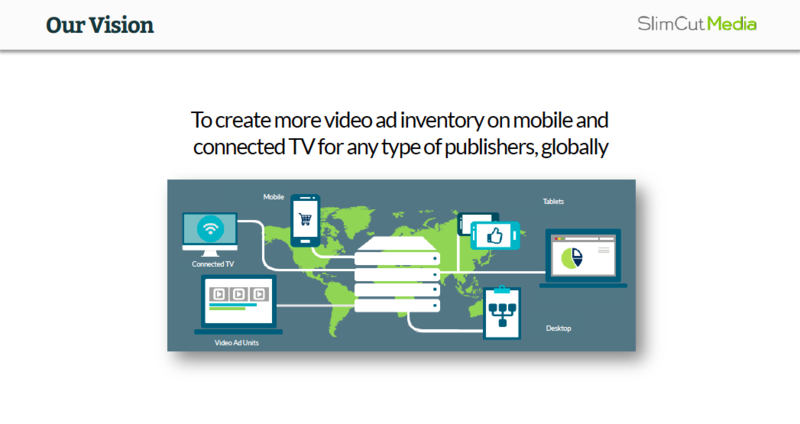 SlimCut Media gives easy access to advertising demand through in-article video ad units and engages consumers with reader reward programs, and combines these features into a single platform. 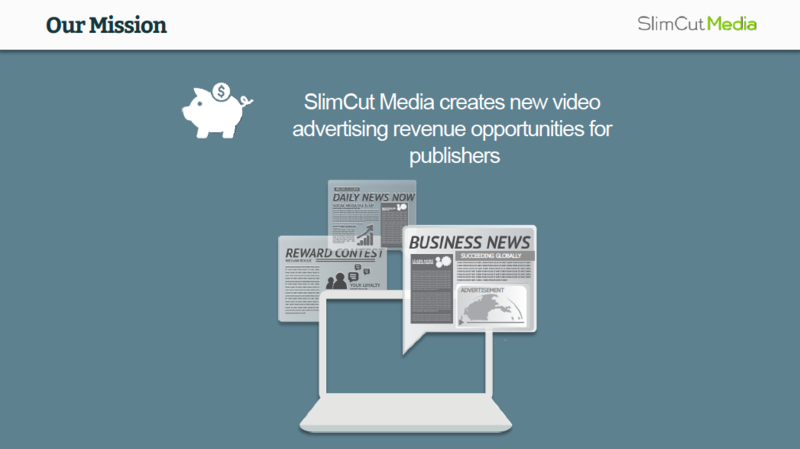 SlimCut Media’s innovative platform enables publishers to engage, better understand, and monetize their digital audience. 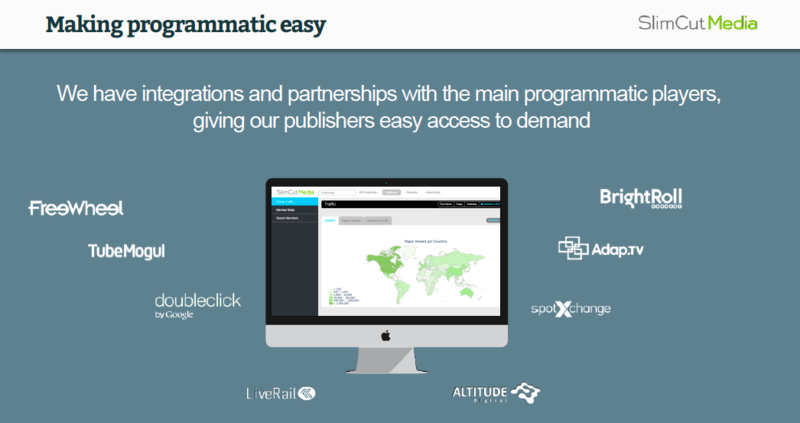 The platform gives choices to readers: they can pay to access content, or they can watch advertising. 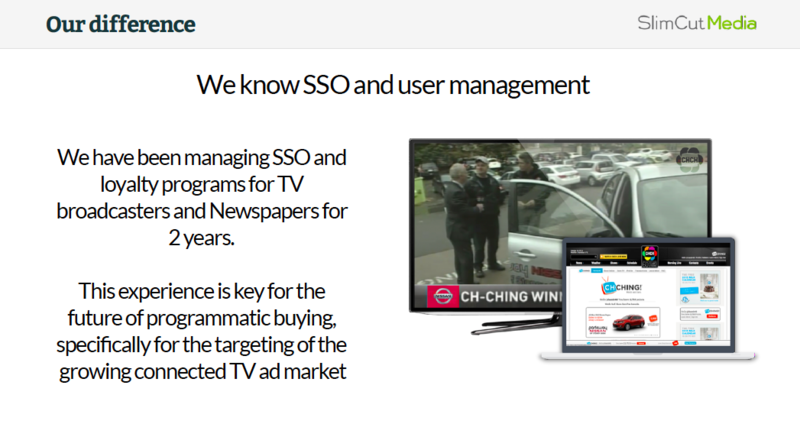 It also integrates a loyalty program to reward readers for their engagement and collects data based on readers consumption patterns.